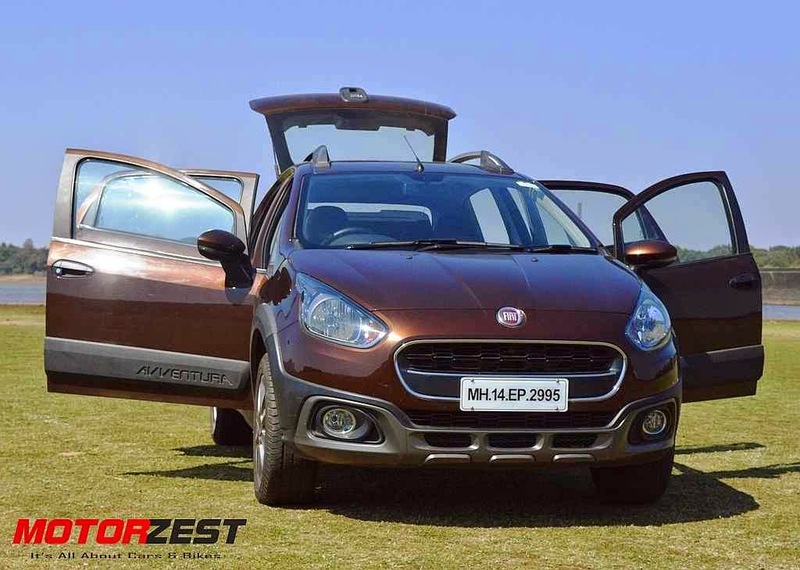 We took the Fiat Avventura for a long adventure drive to Lonavla from Mumbai and back on the same day. A total of around 250 kms drive over two days to test the performance, comfort, ride and mileage. 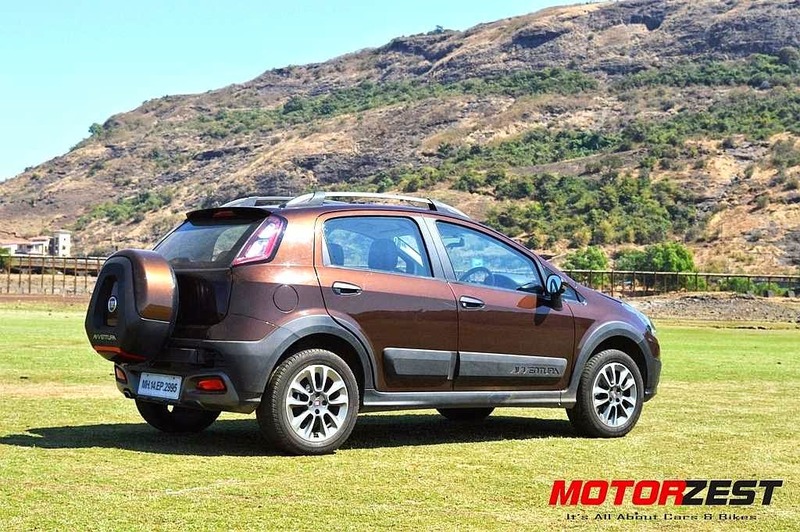 We had with us the Avventura Dynamic 1.4L FIRE petrol version which is priced at Rs. 7.50 lakhs (ex-showroom Mumbai). 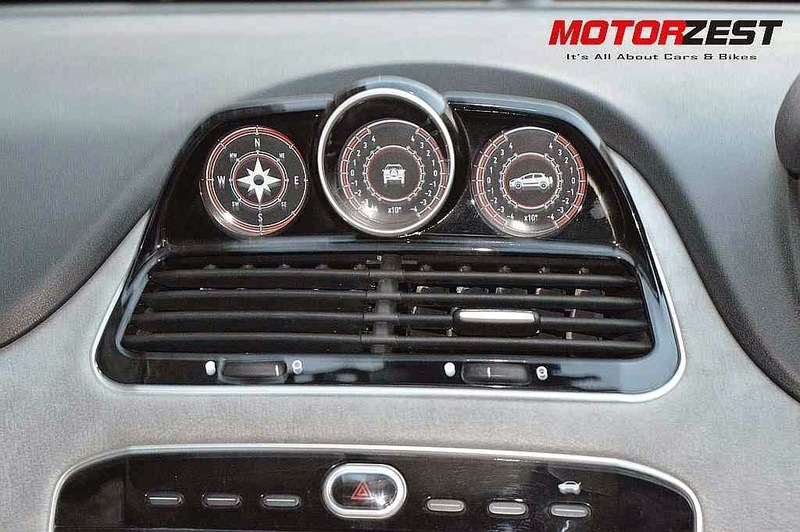 The 1.4L FIRE petrol engine in this Avventura, which produces max power of 90 PS, is refined and smooth. The engine delivers power throughout the rpm range and is absolute fun to drive. In city, unlike the diesel version, you don’t need to constantly shift gears to get the required boost to nudge through the traffic. That’s the only reasonable advantage you have over the diesel version of Avventura in case you are opting to buy this petrol version. The diesel engine is sluggish at lower rpm i.e. in traffic conditions but is at par with the petrol when it comes to driving on the highways. Over this long test drive the Avventura petrol managed to deliver just 9.5 kmpl mileage which was pretty much disappointing. The Punto Evo Sport diesel we tested earlier returned a mileage of 18.5 kmpl and we expect the Avventura Diesel to deliver something similar to the Punto Evo diesel considering the fact that the Avventura is only 90 kilos heavier than Punto Evo. 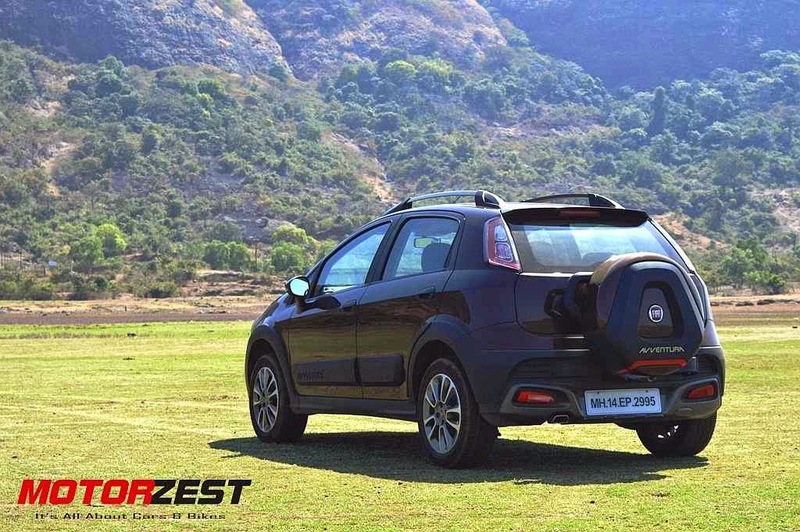 The Avventura, despite the added weight, tackles the winding uphill ‘ghats’ of Khandala and Lonavla with ease. We enjoyed driving the Avventura through the ghats, power was available whenever it was needed without shifting down. The lack of ABS in the Dynamic variant is a concern here when you are out for an adventure on unknown roads safety should be the most important parameter for you and things the ABS, ESC, EBD and Airbags are a must. 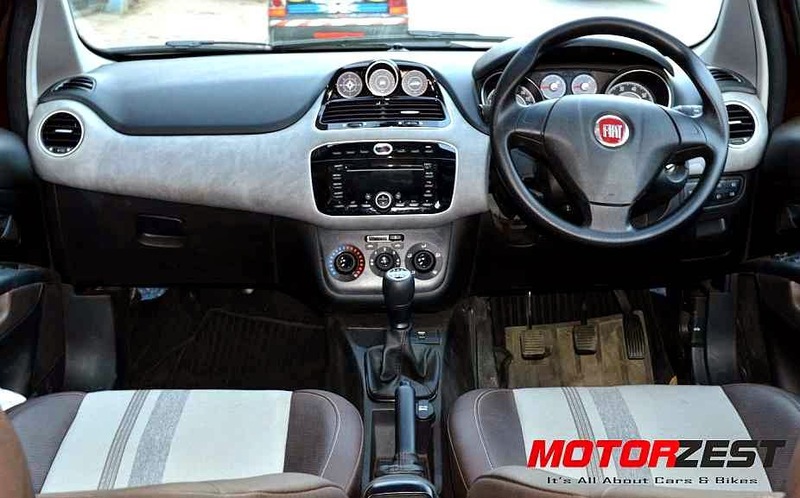 The Active and Dynamic don’t even have Airbags, neither in the petrol versions nor in the diesel. 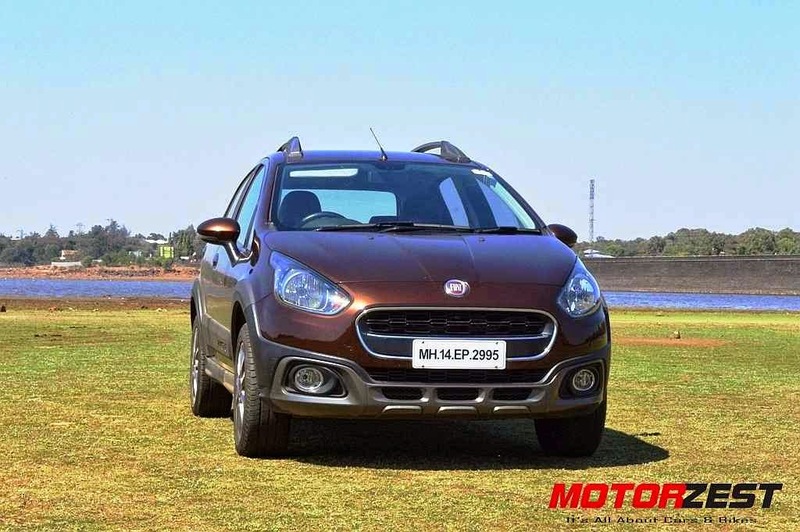 The Airbags are available only in the top end diesel Emotion version, so it means even if you buy the top-end petrol version of the Avventura you ain’t getting even one airbag for your safety. 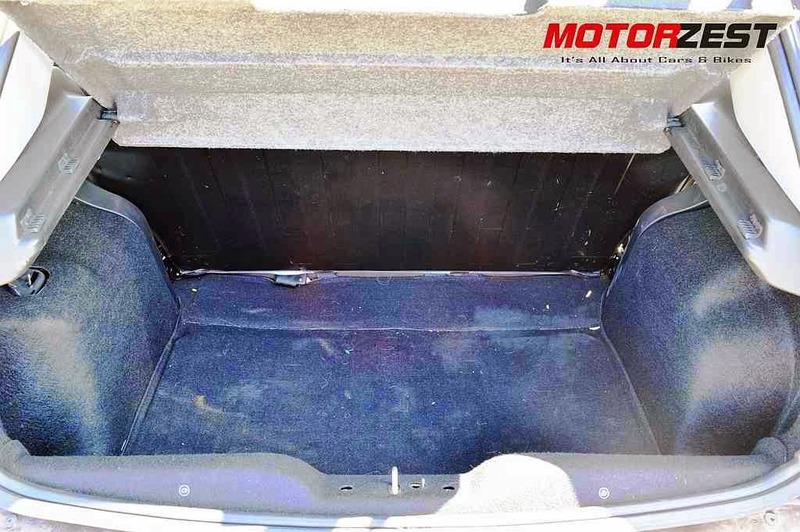 The seats in the Avventura are comfortable and can be adjusted for height. There is enough legroom for two 6 feet tall people to seat on behind the other for the entire journey. The rear can seat three people with ease and has a 60:40 split option which comes handy for carrying extra luggage on your adventure trip. The Dynamic lacks a rear A/C vent and talking about the A/C this top-end petrol Avventura does not have automatic climate control. We were very disappointed with the performance of the HVAC (Heating Ventilation and Air Conditioning) system, it just was not able to keep us cool in the hot afternoon drive. The 205 mm wide tyres on the 16 inch rims are good enough for the size of the vehicle. Wider tyres on the Avventura compared to the Punto Evo gives you the extra confidence in taking on corners aggressively. The Avventura takes the bad roads pretty well with its good suspension and wider tyres. Overall we were very happy with the ride quality. The steering is heavy at low speeds and becomes lighter as you speed up. There is feedback of roads on the steering at low speeds. The 5 speed manual gearbox isn’t the smoothest of the lot and the gear knob vibrates a bit. The Avventura comes with some adventure specific features such as the black coloured side body cladding, functional roof rack, compass and inclinometer. The side body cladding which is also extended to the front and rear bumpers not only gives it a rugged look but also plays a functional part of protecting the paint which would have been exposed to rough terrains in your adventure trips. You can use the roof rack the carry extra luggage. The compass and inclinometer are functional and gives you an adventurous feel from inside the car but are they really needed? Could the space have been used for a better purpose? All of us nowadays own a smartphone which is capable of showing us the N-E-W-S directions so the compass is render pretty much useless unless we don’t have internet connectivity on our smartphone in remote locations. Overall the Avventura is a great car to drive, it looks beautiful, has a good ride quality and is functional for adventure trips. 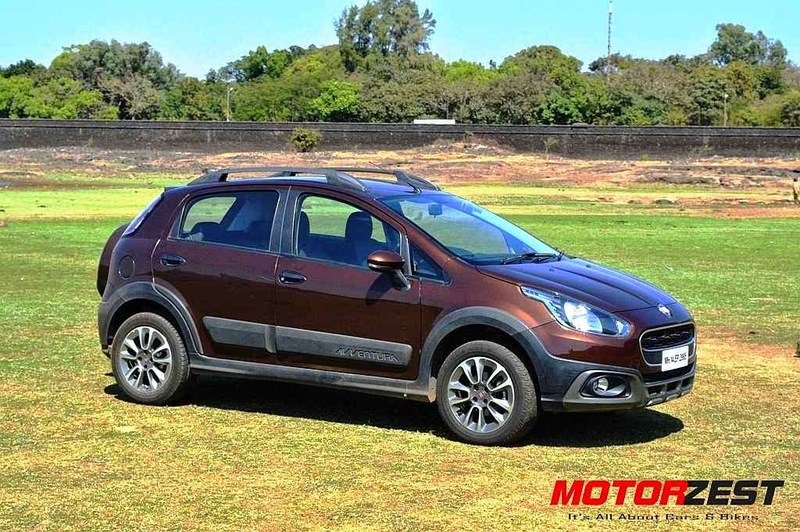 The only problem we had with the top-end petrol version of Avventura was the lack of ABS, Airbags, poor HVAC system and poor mileage. 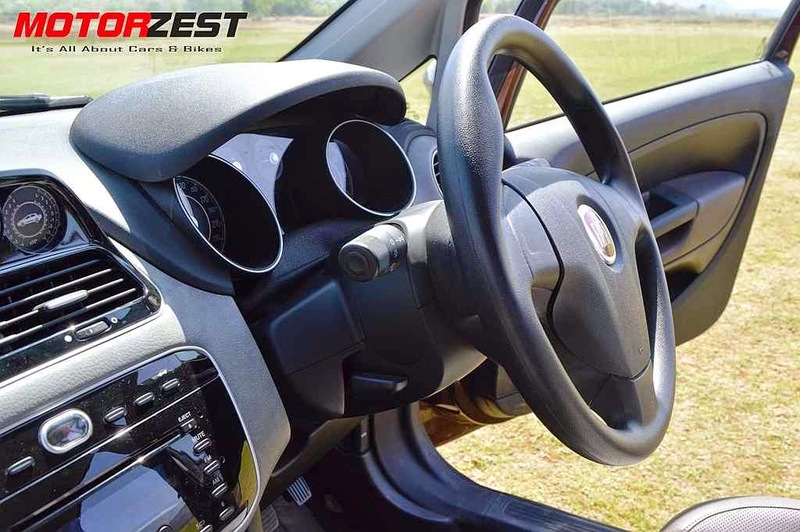 It makes sense to put in some extra money and go for the Avventura 1.3L Multijet Emotion diesel variant which has ABS, Airbags, automatic climate control and a better mileage.